Moving Smart: SMART STEPS: WALK THE LINE! SMART STEPS: WALK THE LINE! 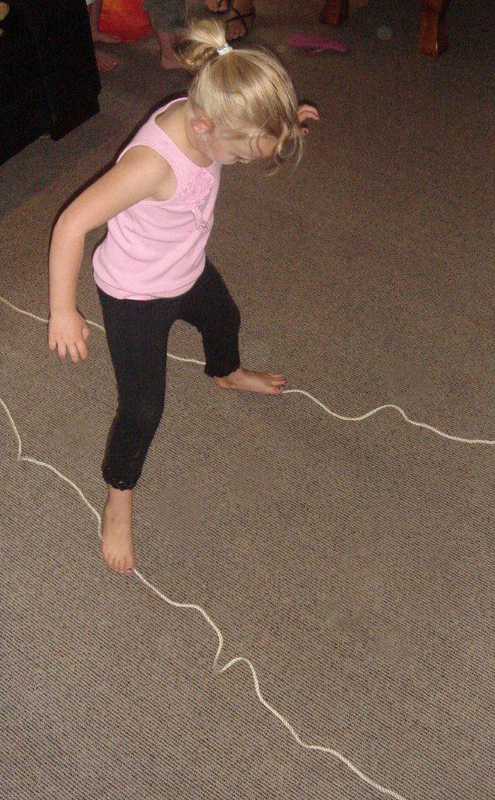 So while it might look a little strange to us, when kids find a line they like... let 'em walk it! But after they Walk the Line a few times, then what? 1. FUN FIRST! 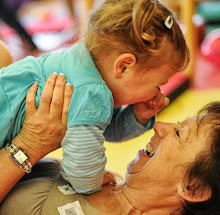 Smart Steps celebrates the naturally playful, silly side of kids, so the first rule is IF IT’S FUN, DO IT. IF IT’S NOT, STOP! 3. AVOID FRUSTRATION. 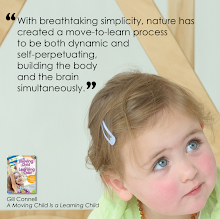 Try a few times and if your child is having difficulty, stop and go back a step. Frustration is never fun! 4. BE ENCOURAGING. Whether kids get the moves perfectly right or not is not the point. The idea here is to challenge them to move their bodies in ways they may never have before. Be encouraging and celebrate whatever happens, knowing that the more they try, the better they’ll get, even if the first time out is, well, a little goofy! 5. GO BAREFOOT. If conditions allow, do all of these barefoot. These activities focus children's attention on their feet. Shoes and socks get in the way of creating an optimal, sensory experience. Find or draw a line on the ground, indoors or out. A crack in the sidewalk will do. If you don't have one of those, draw a line with chalk or lay down a ribbon, tape, rope or anything you have handy. Then, encourage your child to show you how she can walk and keep her feet on the line. 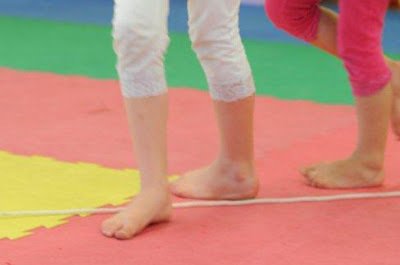 This little warm up gives your child a chance to get the feel for walking on the line while aligning her body and brain for the concentration needed for the various activities to follow. Watch to see her body find its center. She'll likely bring her arms up like airplane wings and may miss the line quite a bit at first. 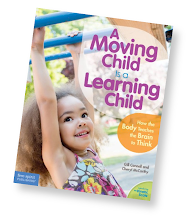 That's OK. Children love a challenge and their bodies crave new kinds of movements, so precision is less important than trying. Check to see where her eyes are focused. Some children may watch their feet all the way along while others may focus more on the line ahead. Either way is fine for these activities. Also watch for how fast she goes. Many children will go fast at first. If that happens, encourage her to slow down by making a game of it... "That was great that you went so fast! I bet you can't walk the line really, really slowly." Create two lines in the shape of a "V", starting at the narrow point and going wide. You may need to demonstrate this for your child. Show her how to walk on BOTH lines at once. With each step, the feet get further and further apart. Then turn around and come back, with the feet getting closer and closer together. 1. BALANCE. 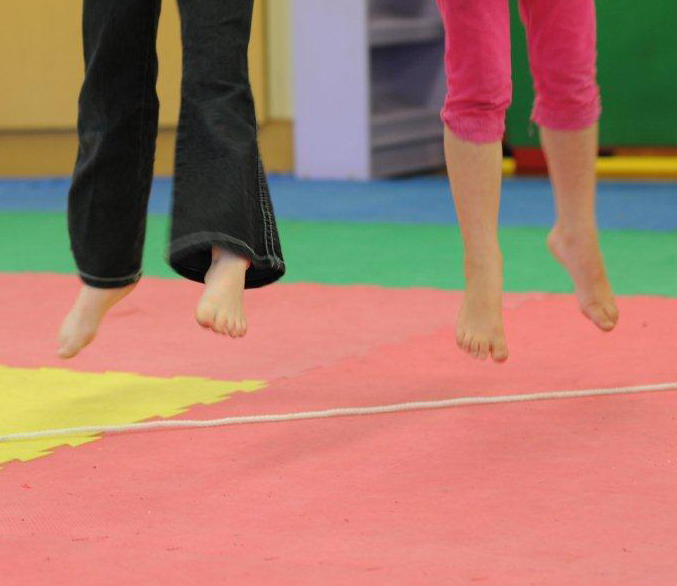 With each step, Wide Walking is a challenge to your child's balance and stability, requiring her to continually adjust her center of gravity. 2. EARLY MATHEMATICAL CONCEPTS. 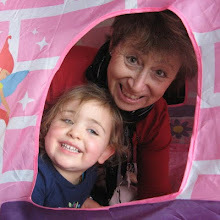 Young children need physical experiences with abstract concepts in order to make them real and understandable. Wide Walking, as simple as it seems, is actually a demonstrable experience with the concepts of more (>) and less (<), just like the actual mathematical symbols. As your child's feet get further and further apart (or closer and closer together), she is physically feeling the difference with each step. And it really helps if you narrate this activity, using language that describes the "more" and "less" concepts, such as... "Can you stretch your legs out a little MORE?" "Oh look how much LESS you have to stretch your legs out now." Repeat the words several times as she challenges the Wide Walking course to help associate or "tag" the language with the experience in her memory. 3. FOCUS & CONCENTRATION. Moving the feet in this unusual way challenges the body and brain to work together over the length of the course to stay "on line." 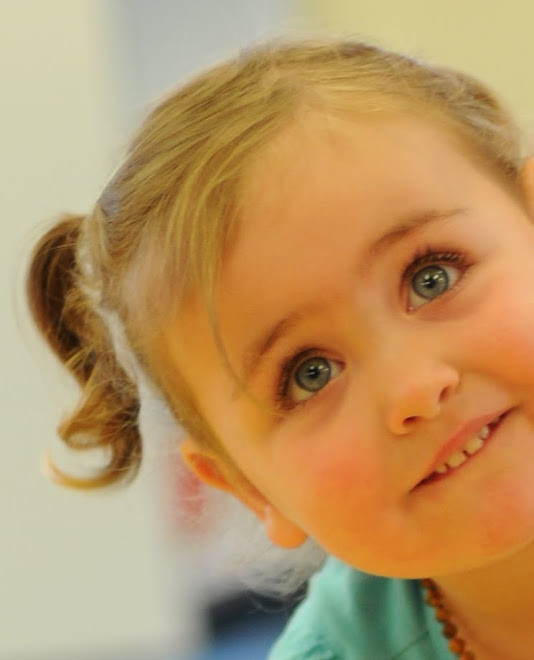 Watch to see how your child progresses. As she makes progress with her Wide Walking, add a little more challenge by giving her something to hold in her hands. This creates a new dynamic, challenging the brain and body to do two things at once. Start by holding the object in both hands, then switch to holding it in one hand then the other. This adds a new level of complexity and shifts her center of gravity just a bit to challenge to her balance to adjust. And of course, when she's really good at it, trying doing it all again only backwards! SMART STEPS 3 – CROCODILE IN THE WATER! Draw two parallel lines (or use rope, string, ribbon or tape) that are far enough apart for your child to be able to "walk" one line with her feet and the other with her hands. Then help your child draw a silly old crocodile in the center. Rock the Croc sleeps all day in the river. But when he's awake, he loves to tickle fingers and toes! The only way to get past Rock is to stay on the banks of the river (the lines). Can you get down river without waking up Rock the Croc? 1. STRENGTH & BALANCE. Holding this "all fours" position gives the body and brain another new sensation of balance while building muscle strength. 2. MIDLINE DEVELOPMENT. Doing something different with the top half of the body from the bottom half helps develop full body coordination. 3. FOCUS & CONCENTRATION. Creating a little story line around the activity shifts the focus to the "mission" and adds incentive for accomplishing the task. 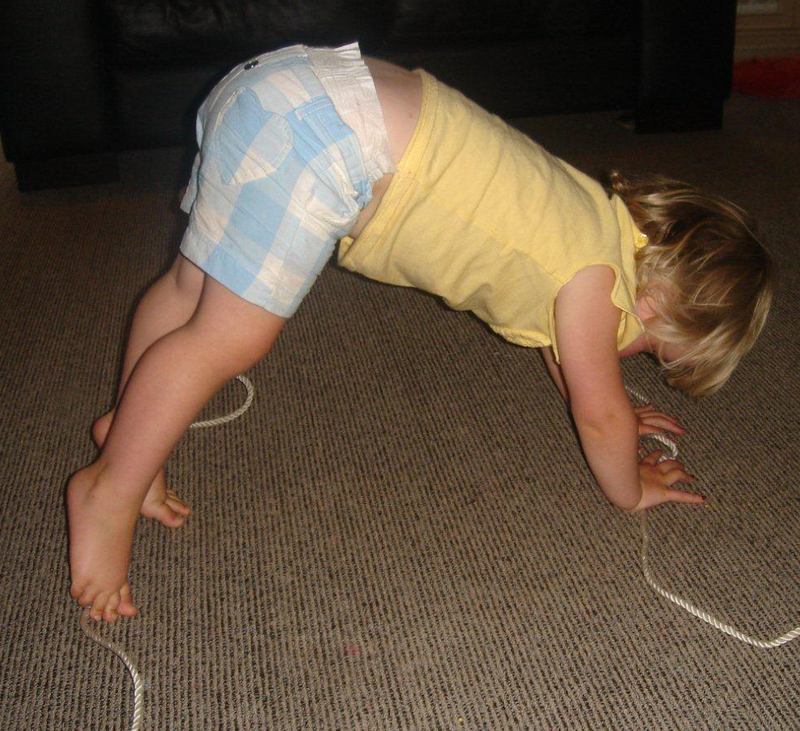 First, watch to see if your child can hold the position for a few seconds. If she's struggling, you can start this activity on the hands and knees. Be sure to do this activity in both directions up and down the river bank. However your child chooses to do this activity is fine. But once she's accomplished getting past Rock the Croc several times, suggest she try it in a different way. Have fun! And remember, lines are free, fast, fun, and challenging playscapes for preschoolers, so be sure to give your child lots of opportunities to Walk the Line whichever way she wants! 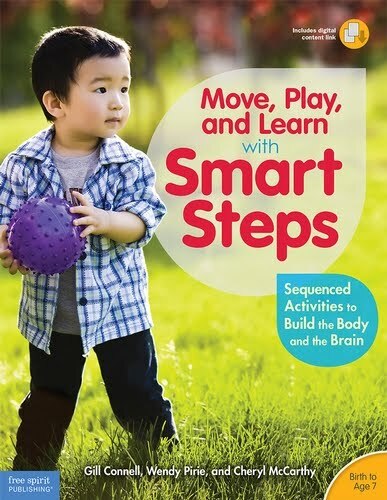 Adapted for home use from the Moving Smart Smart Steps Preschool Playground Program. 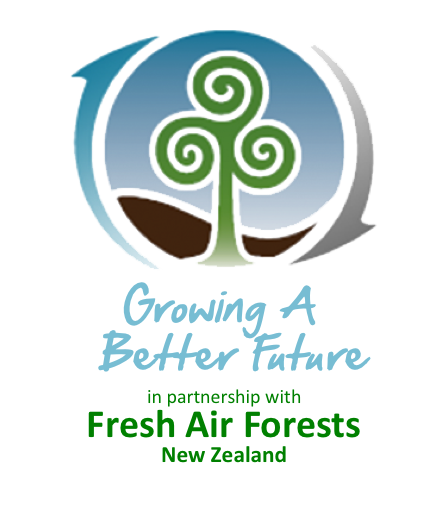 For more information on Moving Smart programs for schools, preschools, and child centers, go to www.movingsmart.co.nz, or email getmoving@movingsmart.co.nz. Lots of fun and easy ideas! Great ideas and very fun! The crocodile exercise reminds me of my favorite children's yoga program...are you familiar with Playful Planet Storytime Yoga? They do a lot of work in these areas while telling interesting and engaging stories...kids love it! Interesting post. I love these ideas and the learning and developing concepts behind them. I will have to try these with my two youngest boys. I am sure they will have tons of fun. I really love these ideas. Thankyou for inspiring me. Fun & so simple (THE PERFECT COMBINATION)...I will be trying them out with my 4 year old autistic son who is not very confident physically. This is something that I think can challenge him at the right level to help prepare him for big school in september. You are writing a fantastic blog. I will continue to follow. You might also try doing a large figure 8 on the floor and having them walk that. Well written post! Focus & Concentration always helps in controlling the body AND brain to achieve a specific task over a period of time.